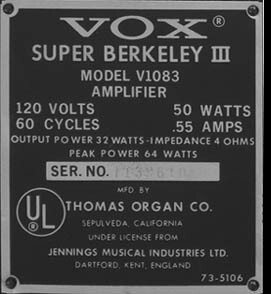 of four generations of Berkeley amps offered by the Vox division of the Thomas Organ Company. The Berkeley III was first offered in the January 1968 US Vox price list but it made additional appearances in 1968, 1969 and 1970 US Vox literature. 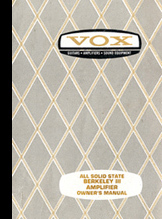 The commercial success of the Beatles in 1964 caused a flood of demand for Vox products in the US market. Rather than set up shop in the states, Jennings Musical Industries (JMI), the UK manufacturer of Vox, decided that it would be best to choose an established US firm to distribute their amplifiers in America. The Thomas Organ Company, based in Sepulveda CA, was chosen to be this American distributor in September, 1964. One of the earliest amp models Thomas imported to the US from JMI was the AC-10SRT ("Super Reverb Twin"). The AC-10 SRT was an all tube 10 watt, single channel amp head featuring reverb, tremolo and a tone control combined with a separate 2x10" enclosure mounted to a tubular swivel trolley. Thomas Organ changed the name of the amp for the US market from "AC-10SRT" to simply "Berkeley." This JMI version of the Berkeley amp was featured in the Thomas 1965 "Vox - King of the Beat" catalog, shown below and at right. By mid 1965, Thomas Organ had grown weary of the high costs of importing amplifiers from the UK and negotiated a licensing contract with JMI that would allow Thomas to build Vox amps in America. 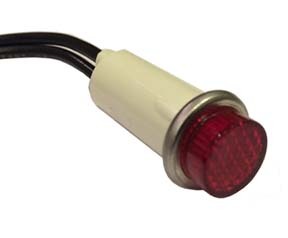 This led to the development and production of the V8 Vox Super Reverb Twin. The all tube, 18 watt, single channel V8 Berkeley Super Reverb head included reverb, tremolo, bass and treble controls and a stylish trapezoid cabinet. The matching 2x10" open backed enclosure featured two 10" Celestion speakers and a chrome swivel trolley. However, Thomas Organ was not content producing tube amplifiers. To the organ engineers at Thomas Organ, tube circuits must have seemed archaic. Transistorized circuits were cheaper to produce, generated no heat, required less maintenance and in theory offered a longer service life. Within six months of the introduction of the tube powered Berkeley Super Reverb Twin, it was replaced by the transistorized V1081 Berkeley II. Like it's predecessor, the solid state V1081 Berkeley II was a single channel 18 watt amp in a trapezoid head cabinet. It included volume, treble and bass controls, foot switchable "MRB" mid boost, tremolo and reverb. 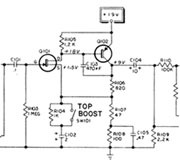 The 18 watt RMS power amp stage utilized a pair of germanium output transistors. The Berkeley went through a yet another redesign for 1968. Now known as the V1083 Berkeley III, the power amp section was increased from 18 to 32 watts RMS. The Berkeley III power amp stage was made more dependable due to a switch from germanium to silicon output transistors. The Berkeley III preamp stage featured two channels and four inputs while the Berkeley II had one channel with three inputs. The Berkeley III included a three button foot switch to provide remote access to the reverb, tremolo and MRB (mid range boost) effect. While adjustments to the reverb and tremolo could also be made from the control panel, the mid boost was controlled solely by the foot pedal. A six pin Switchcraft DIN plug connected the foot switch cable to the lower control panel. The Berkeley III also included a "E-tuner" circuit. Based on a basic single frequency organ tone generator, it acted as an electronic "pitch pipe" of sorts. It provided a 323.6 cycle reference pitch for tuning the E strings on a guitar. A slide switch mounted to the lower control panel actuated the tuner. 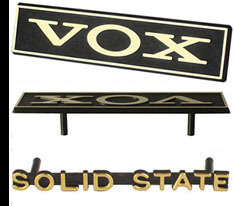 The V1083 Vox Berkeley II head and speaker enclosure both featured a rectangular Vox nameplate. It featured gold hot stamped letters and was fastened to the cabinet by two molded plastic pins. 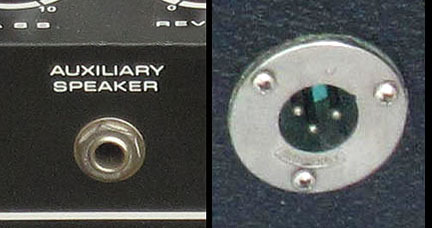 An additional "solid state" logo graced the lower right hand corner of the amplifier head. Thomas was obviously proud of their new solid state models and this new logo to helped to distance their new transistorized amps from the manufacturers still holding on to those "old school" tube circuit designs. 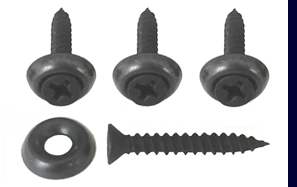 It was also fastened to the cabinet by molded pins. 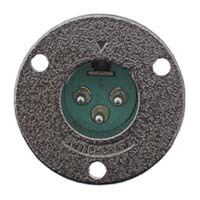 A Switchcraft three pin XLR jack was mounted to the vinyl covered back panel of the V1083 head for speaker connection. 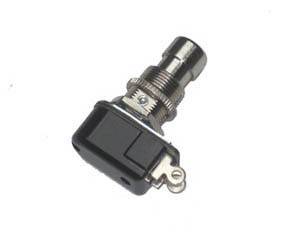 While using what would normally be considered to be a microphone jack in this application might seem a bit unusual, Thomas Organ was simply following the English Vox tradition of providing locking XLR speaker cables to interconnect their heads and speaker cabs. 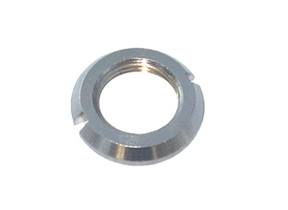 Thomas also provided a conventional 1/4" Auxiliary Speaker jack on the rear panel of the Berkeley III. Thomas Organ included a four page owner's manual with the V1083 Berkeley III amplifier. You can view this owner's manual in the Vox Showroom by clicking here. 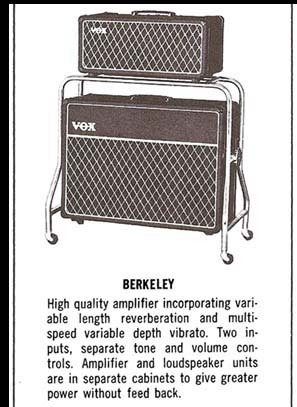 The 6/23/1968 Vox retail price sheet indicated that the Berkeley III amplifier head retailed for $252 separately or $379.90 with the matching speaker cabinet and trolley. Adjusted for fifty years of inflation, the Berkeley III head would cost about $1764 today and the complete amp would be $2659. The conversion of the 1966 retail price of the Berkeley III to the value of today's dollar should explain why Vox amps were financially out of reach to many. 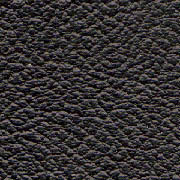 Two versions of the Berkeley III speaker enclosure were manufactured by Thomas Organ. Both included a swivel trolley with casters. 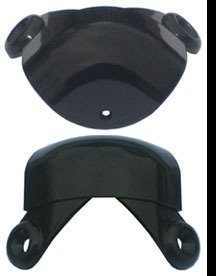 Model V4081 was an open backed enclosure with an 4.5" x 16" oval shaped opening in the back panel. Model V4082 had a closed back. By the time the Berkeley III was introduced in 1968, these cabinets were built exclusively of particle board.